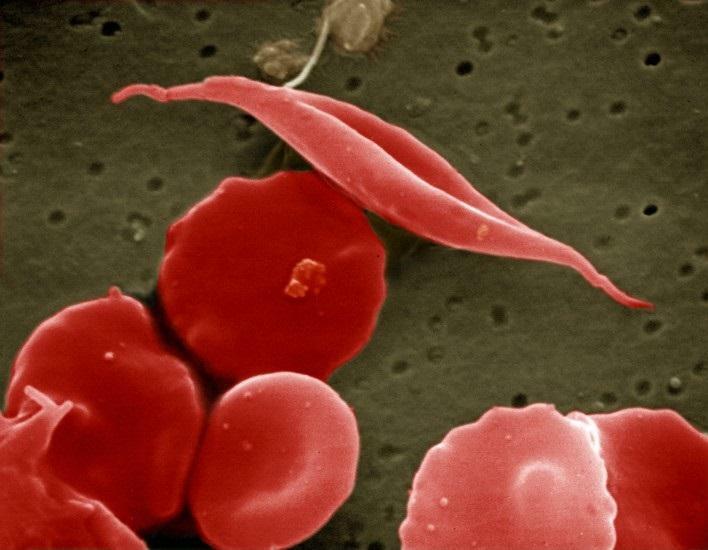 This is a scanning electron micrograph of sickled and other red blood cells. An international team of scientists led by researchers at St. Jude Children's Research Hospital has found a way to use CRISPR gene editing to help fix sickle cell disease and beta-thalassemia in blood cells isolated from patients. The study, which appears online today in Nature Medicine, provides proof-of-principle for a new approach to treat common blood disorders by genome editing. Page took 0.018483 seconds to load.